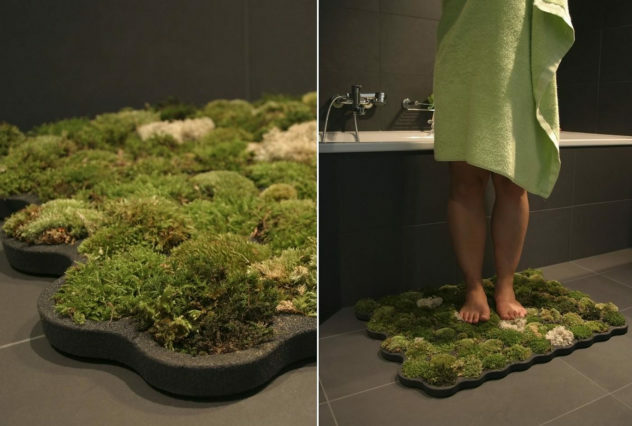 Living Moss Bath Mat by Nguyen La Chanh. Designer Nguyen La Chanh proposes a unique and ecologically sound idea for your bathroom, a naturally soft moss bath mat made of living moss. Kontextur VIKTOR Toothbrush / Razor Holders. The Kontextur VIKTOR Toothbrush / Razor Holders look stunning are are defined by the core principals of “quality, innovation and functionality”. 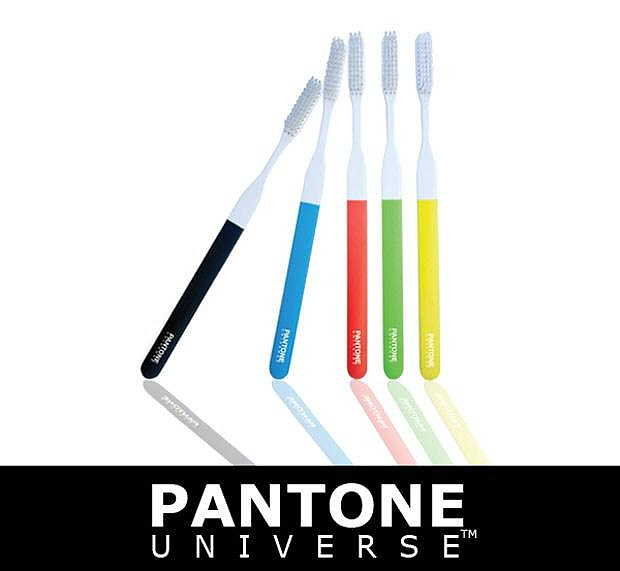 Pantone is synonymous with color, and the Pantone Toothbrush from Kikkerland does not disappoint, brush you teeth flawless style (and color). Mirror Clearer by Dewa Design. 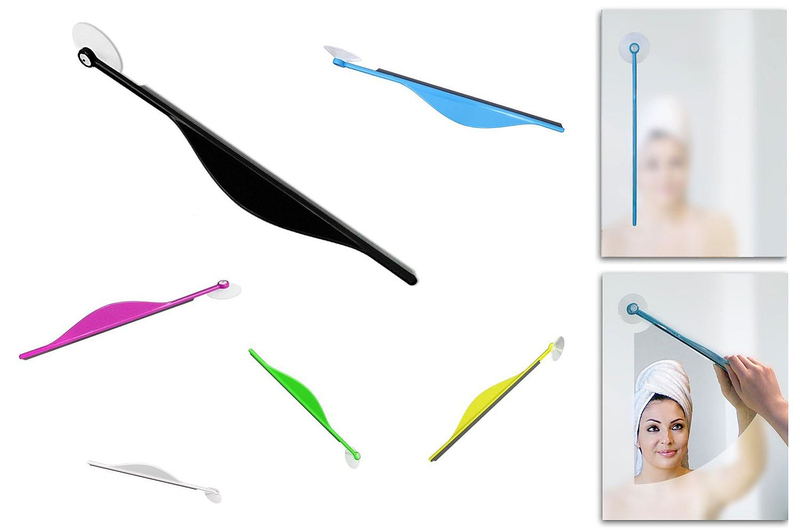 The Mirror Clearer by Dewa Design is a mirror wiper for your bathroom mirror, it will easily wipe the steam away after a hot shower. The NON TOOTH CANDY by NONdesigns is an acrylic toothbrush holder that supports up to 4 toothbrushes, a toothpaste tube and a dental floss. 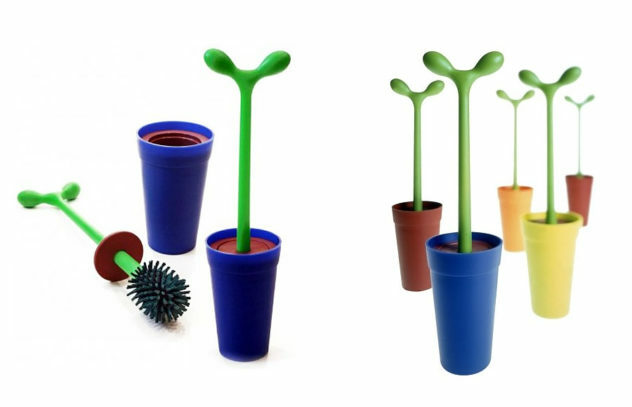 Merdolino toilet brush by Alessi. 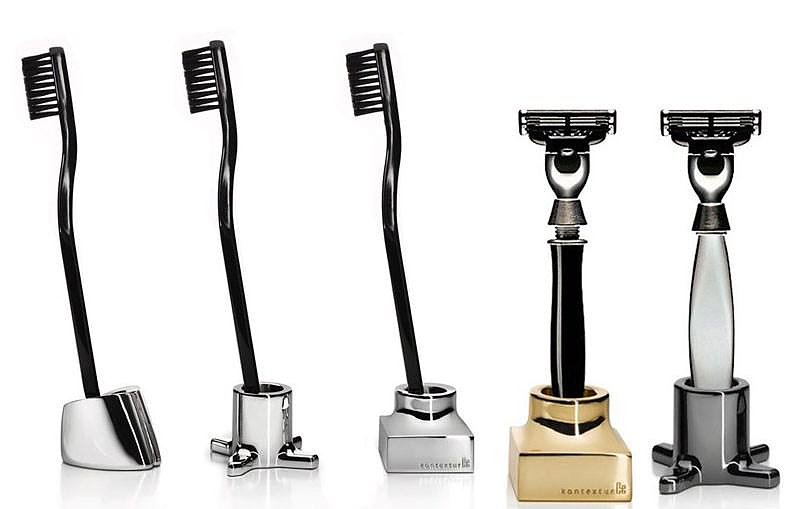 The Merdolino toilet brush was designed by Stefano Giovannoni in 1993 for famous Italian brand Alessi and still remains a timeless classic.